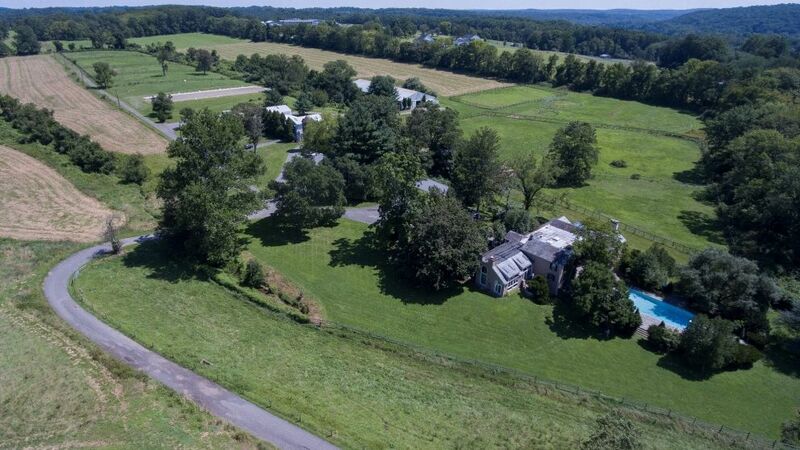 STOCKTON, NJ – August 21, 2018 – “Tullamore Farm” a circa 1700’s 207.8+/- acre farm is steeped in both history and natural splendor. Max Spann Real Estate and Auction Co. has scheduled the auction onsite on Thursday, September 20, 2018 at 1:00 p.m. The auction features a main farmhouse, a second stone residence, an equestrian center, multiple cottages and other barns and outbuildings. it is located just across the street from the Delaware River and is short bike ride away on the D&R Towpath to the charming village of Stockton. While the Property is a superior farm with great soils, its rich and varied history makes it a particularly important offering. Bandleader and ‘King of Jazz’ Paul Whiteman purchased the property in 1938 with his wife, silent film actress Margaret Livingston. The idyllic estate (then called Walking Horse Farm) played host to artists and musicians from New York and beyond, including Whiteman protégé Bing Crosby. Noted agriculturist and philanthropist Lloyd Wescott purchased the property from Whiteman in 1959, renaming it Hunterdon Hills. Among Wescott’s extensive legacy is the neighboring Wescott Nature Preserve, once a part of his own farmland and the first County Park in Hunterdon. In addition, he was a founding member of today’s Hunterdon Medical Center where his contribution is memorialized by the main entrance road being named Wescott Drive. His brother, literary cult figure Glenway Wescott, lived in one of the property’s multiple historic buildings and enjoyed its proximity to Manhattan. Open Houses are scheduled from noon to 2:00 p.m. on Tuesday, August 28th and Saturday, September 8th. To take the next step, visit www.maxspann.com or call 888-299-1438 for the Property Information Package, attend the auction and bid. For more information about this and other Max Spann’s auctions, visit www.maxspann.com, or follow Max Spann on Facebook/MaxSpann and Twitter/MaxSpann.